MTP is the high dense degree of optical fiber pre-connect system,which is generally use in three areas. 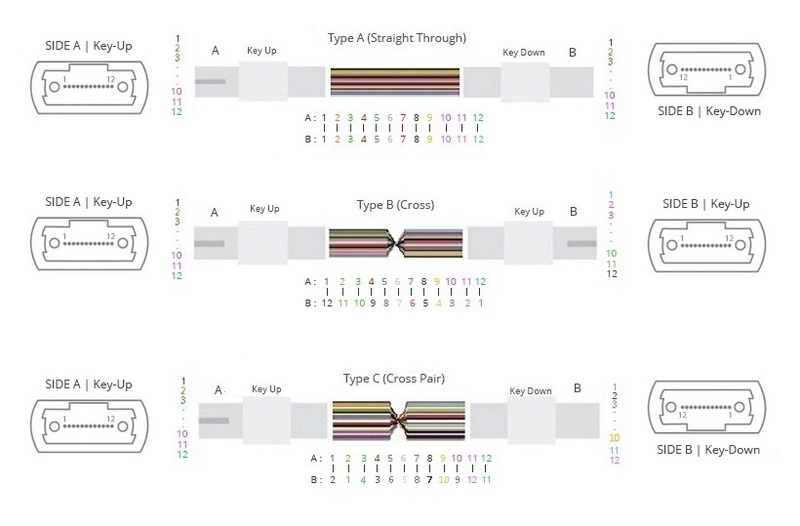 The internal connector application in fiber equipment such as Splitter, 40G /100G SFP and SFP+. 10G upgrade to 40G/100G data center. The three polarity methods Type A,Type B and Type C are used to guarantee the right bi-directional allocation. 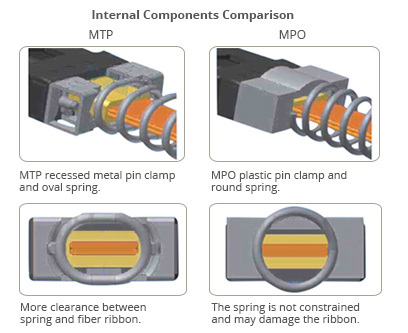 MTP Trunk Fiber Patch Cables are terminated with MTP connector on both end. 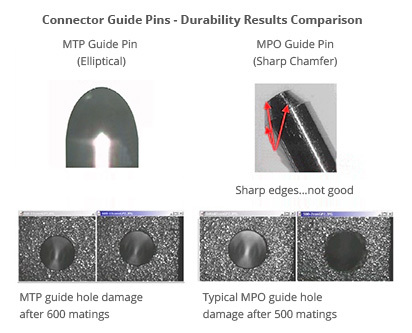 1.The default diameter of the MTP cable is 3.0mm. 2.The default color of the single mode MTP connector is Blue. 3.The diameter of branch cable could be choose as 0.9mm,2.0mm,please kindly contact us at [email protected] for other diameter standard. 4.Due to Inventory was Changed frequently,12 fiber cable will be instead of by 12x12Fiber cable when the total order volume is less than 1000m. 5.Fiber-Mart can also custom the pulling eyes, welcome to contact us if you need. The term MTP is a registered trademark of US Conec, it has been the main trend in European and American areas. 1 Our adopt industry's leading high-performance polishing machine, and complemented by precision plates holders designed for MT ferrules. 2 The industry leading device of 3D interferometer provides verification of MTP/MPO polishing process, the interferometer making all parameters of hte polished MT ferrule complies and exceeds industry standards. 3 After the 3D interference detection, the flexibility of the tester provides the the complete spectrum of optical testing required for complex and high fiber count cable assemblies. Fiber count 8, 12, 24 etc. 8, 12, 24 etc. 8, 12, 24 etc.